AS THE OLD saying goes, ‘Two things in life are certain: death and taxes’. Most people don’t like to think about either. We’re often encouraged to make plans for when we die – so our wishes will be respected and assets divided the way we want. An area that’s often overlooked is our digital legacy. Social media is a huge part of many people’s lives, for whom posting photos and statuses online is second nature. Ipsos MRBI’s social networking tracker for January 2017 showed that about six in 10 Irish adults have a Facebook account, while almost three in 10 have Twitter, LinkedIn and Instagram accounts. Over time, a vast amount of material documenting our lives can build up on social media. So, what happens to it all when we die? If you’re particularly organised you might have made plans for this in your will or signed up to a service that helps you lay out your wishes. Laura Rooney Ferris, the Irish Hospice Foundation’s (IHF) Information Manager, says trying to gain access to a loved one’s social media accounts after they die is “another layer of admin that people have to deal with” while grieving, which can be “quite distressing”. It’s something most people are not aware of until they have to deal with it when someone passes away … Managing someone’s digital estate is something most of us don’t think about. 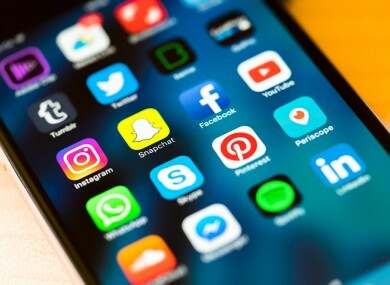 Rooney Ferris notes that social media accounts can be “a big part of someone’s identity” and contain vast amounts of material – particularly if the person blogs or vlogs regularly. She says a number of people have raised digital legacy issues with the IHF, such as the difficulties they’ve faced in accessing a late loved one’s accounts if they don’t know their passwords. Rooney Ferris compares trying to make changes to a person’s social media presence after their death to shutting down their bank accounts – the person needs to prove their relationship to the deceased and prove they’ve died, usually through providing a copy of their death certificate or an obituary. This can be really distressing stuff, particularly if it’s a sudden death or if it’s a younger person who has died. It’s another layer of distress for the grieving person. Rooney Ferris says a way around this is to make a record of your passwords in a password-protected document and share it with someone you trust who can access your accounts or contact the relevant companies when you die. This can also be very useful in relation to unlocking a person’s phone or cancelling subscriptions to websites such as Spotify and Netflix. “Often the first thing we do when someone dies is get out the photo albums … Now most of this is digital – this is great as it’s easily accessible now, but the ability to access this in perpetuity is a lot more complicated,” Rooney Ferris states. She says the IHF wants people to be conscious of what they would like to be done with their social media presence when they die and be aware of the fact policies differ depending on the platform. Who would be your digital executor? Who would you like to have access to your accounts? If you Google yourself and see how much material is out there, are you okay with this being available when you’re gone? Do you see this as your digital legacy or are you happy for it to disappear? Rooney Ferris says having a plan in place can “eliminate some distress for loved ones”. Policies on what happens to a person’s social media account when they die vary depending on the platform. Facebook, for example, provides an option for people to set to up a ‘legacy contact‘. This person will be tasked with looking after your account if it’s memorialised in the event of your death. People also have the option of allowing their legacy contact to download a copy of what they’ve shared on Facebook. In a statement, a spokesperson for Facebook in Ireland told TheJournal.ie: “Facebook is a place to share and connect with friends and family. For many of us, it’s also a place to remember and honour those we’ve lost. When a person passes away, their account can become a memorial of their life, friendships and experiences. The spokesperson added that the company doesn’t share stats on how many profiles have been memorialised. The Digital Legacy Association in the UK carried out a ‘Digital Death’ survey in 2015. Nine in 10 of the people surveyed had made no plans about what they want to happen to their social media accounts when they die, while over half said it was important or very important for them to be able to view social media profiles of someone they care about after they die. The association provides a social media will template. It’s not a legally binding document, rather a statement of preference. Dead Social is another online resource for people who want to have more control over how their social media accounts are used when they die. It advises people on their options in the event of their death and allows them to pre-plan messages or videos that can be uploaded to their profiles after they’ve passed away. “What’s really interesting about Dead Social is that it allows you you to have quite a deep level of control over what happens [to your accounts when you die],” Rooney Ferris notes. The IHF’s Think Ahead initiative helps people to make plans around death and dying. More information can be read here.